Please take a look at our topic this term and all the exciting activities we will be having a go at. Please let Mrs Quinn know If you could offer any support or resources to help us with our topic. 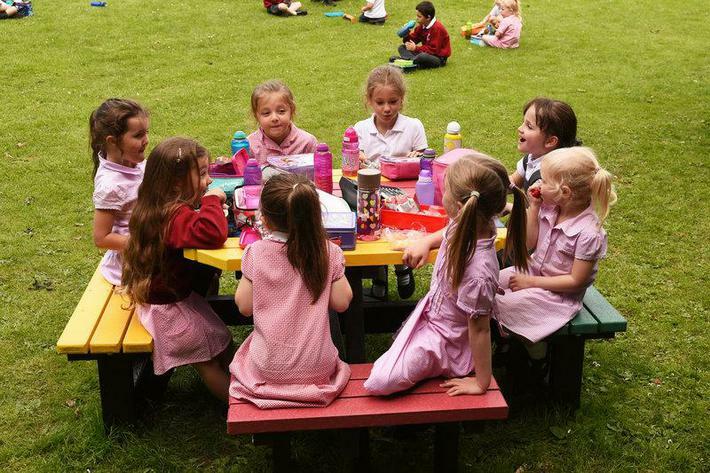 We are having a lovely day playing picnics. Welcome back! I hope you all had a lovely Easter and are ready for a busy and exciting summer term! Please take a look at what we will be doing this term! This term we are learning about the seaside! Our classroom shows lots of our work and all the things we have been learning about. We have also got some new balance bikes to use term. We are very excited! Please take a look at our half termly curriculum plan. This week we have been learning about the story of the three little pigs linked to our own homes. We have done lots of role play and acted out different parts of the story! This week we are skeletons!!! Today we all had a go at being Skeletons using a special app on the ipads! 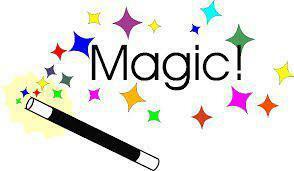 This term we will be looking at Magic and Fantasy. We will be looking at a range of stories such as Jack and the Beanstalk, The Wizard of Oz, Winnie the Witch, It's a secret and the Magic Bed. We will finish the term with an exciting week where we will all become super heroes on magical adventures! We really enjoyed our Mother's Day celebration and showing our mummy's how much we love them! We hope you enjoyed it too!! For Healthy Eating Week we made fruit kebabs. We used apple, banana, grapes and pineapples. They were really yummy! Click on the photograph for lots more! We are learning about halving numbers in Maths. We worked with a partner to make a pizza. We shared the toppings between both sides. They were really tasty! On Monday we were really lucky because we had Quail chicks to visit us in Reception. They had only hatched that morning and one was still in the egg. There were in an incubator to keep them warm. We have been learning our number bonds for 10. We have made number bond biscuits, played skittles with 10 pins, investigated different ways to make 10 using pegs, ladybirds with spots and fish with scales. Click the photograph to see more! Click on the link for a number bond game. We were all put into groups and worked with different children in different classrooms throughout the day. We planned, wrote and illustrated a children's book. 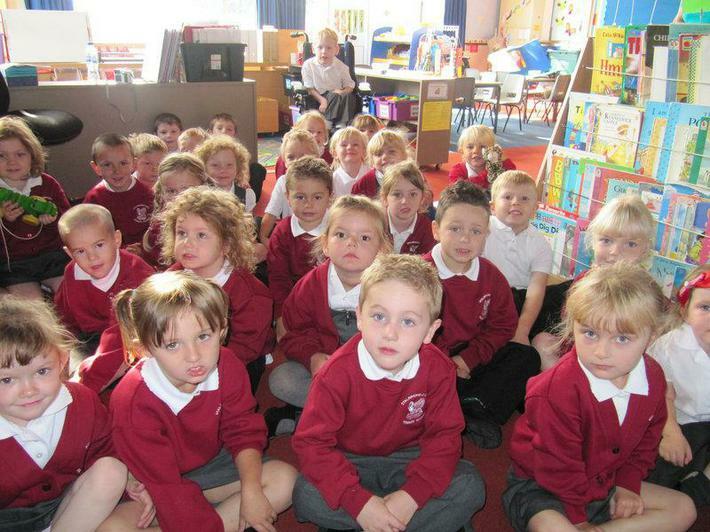 We enjoyed working with the older children and are proud of our books. We've skipped, hopped and leapt to raise money towards our school trip to Bristol Zoo in the summer. Thank you to everyone for all your generous donations! Thursday 6th December we held a Christmas Arts Day throughout the school. In Otters Class we made decorated Gingerbread men, ladies and stars with Mrs Cuff and had a go at sewing a bauble decoration with Mrs Smith. In our role play we imagined we were getting our home ready for Christmas and going upstairs to the Grotto. During the afternoon we went on a treasure hunt for snowflake, holly and present pictures as well as reindeer. We then followed a glitter trail to the bird hide where Father Christmas read us a story and gave us a chocolate lolly. It was a fun packed day. We went on a Jack Frost Walk. On Wednesday Mrs Walker, Mrs Pain and Mrs Drain worked in our class for Arts Day. We each designed and painted a square for a quilt. In the afternoon we decorated a bag. Mrs Walker stiched the squares together to make a quilt. It is really lovely and we are very proud of our work! On Thursday we made some designs outside using natural materials with Mr Lewis. We had great fun! On Friday 15th June the whole school embarked on a trip which ultimately would end up at Weymouth beach in the afternoon. Reception class started the day at Kingston Maurward farm especially enjoying the animals. After lunch they then made their way to Weymouth beach where they all enjoyed the sun, building sand castles and eating ice lollies. Then it was home time after a fantastic, if not tiring, day. We have raised lots of money for or school trip. Thank you for your generosity. 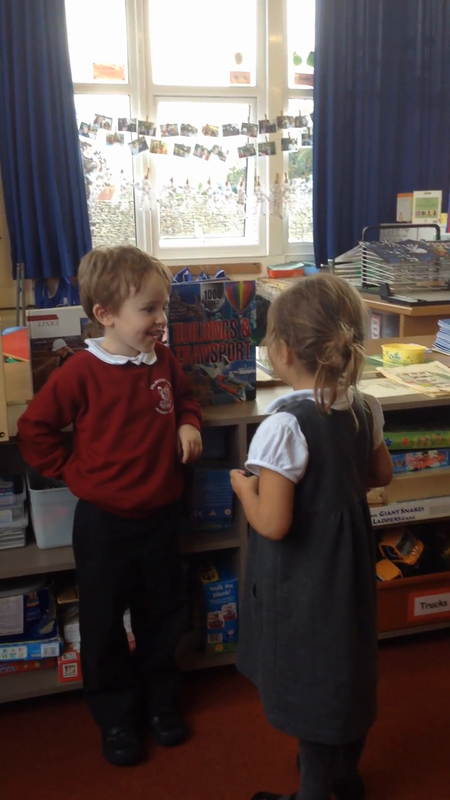 Reception children and year 6 shared their favourite books with each other and then produced amazing posters. A great time was had by all. Today a police officer and a community support officer visited our class. They let us climb in the car and play with all the buttons! We looked at photographs and tried on hats, jackets and handcuffs. The children have been introduced to sewing using aboriginal patterns as inspiration. They have been using wool and aida fabric. Year 3 had a family of alpacas to visit. We were invited to go and meet them. We saw the mummy, daddy and their 1 month old baby. She was very soft to touch and very lovely! Thank you Year 3 for inviting us to see them! Please click on the photograph to see more. Our first half term topic is 'All About Me'. Please click on the link for an activities website. 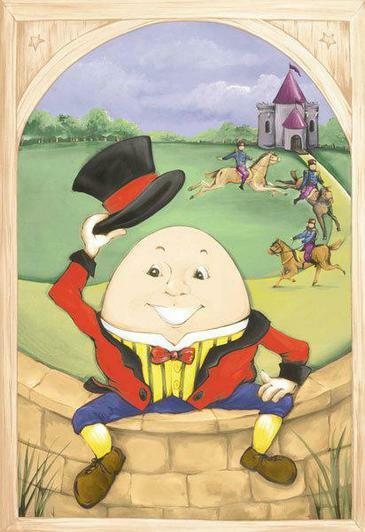 Our second half term topic is 'Nursery Rhymes'. Please click on the link for an activities website. On Tuesday 21st June we went on a trip to Weymouth Beach. We built sandcastles, had a picnic, ate an ice-cream and had a paddle. We built sandcastles on on the beach. We worked together to make some super designs. Please look at our photographs of our day out. 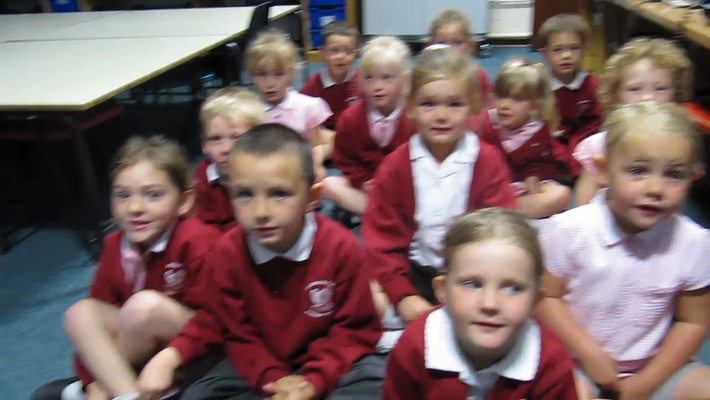 Click to see our video we made on Friday 10th June. We have been looking after caterpillars. We fed them stinging nettles and cleaned out the tank. We watched them turn into cocoons. They hung themselves from the roof of the tank. After two weeks they hatched in Tortoiseshell Butterflies. We fed them some flowers. We then released them into the garden. We visited Kingston Maurward near Dorchester. We went on a tractor ride around the grounds. We saw lots of different animals and went for a walk around the gardens and lake. We listened for different bird noises and saw some tadpoles in the lake. We also went on the play equipment! Please click on the photograph of Kingston Maurward house for lots more photographs. Please scroll to the bottom of this page for our Summer Term Topics. 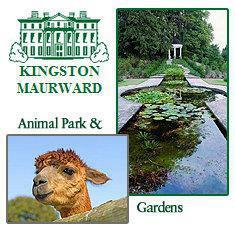 On Tuesday 26th April 2011 we are going on our school trip to Kingston Maurward. This is the first day back after Easter. Please see the letter sent in bookbags for further details. We went on a Spring Watch. We went on a signs of spring watch. We found a beautiful blossom tree. We saw some new green leaves. We looked closely and found some buds. We saw lots of daffodils. We enjoyed our sponsered hop, jump and jog! We have raised lots of money for our school trip. Please bring in any donations are soon as you collect them. 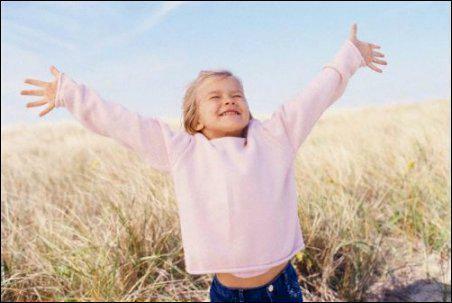 Thank you to children who already have. Huge thank you for being so generous! We learnt some tennis skills with Ian Griffin. We learnt how to pass the ball with our rackets. We all found different ways to balance the balls. We all listened really well. Nina Squire, an artist, came to show us how to do felt making. We made an underwater scene and a flower. We had lots of fun and worked really well in groups. Nina said we were a lovely class! Please click on the link below to Nina's website. 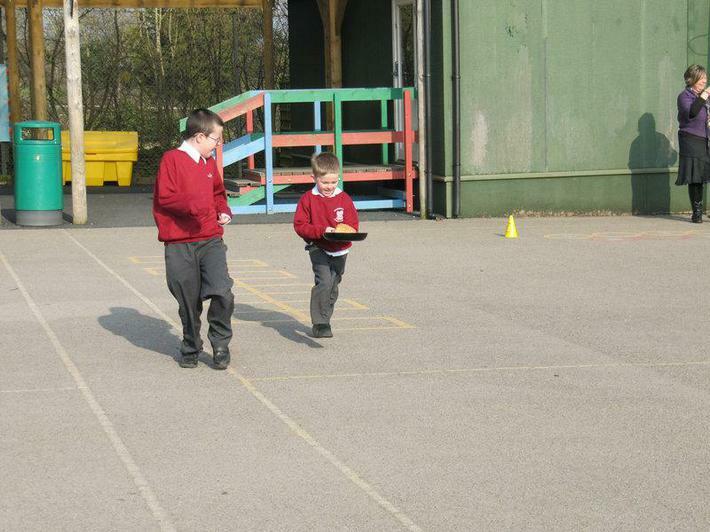 We had a pancake race with our Year Six buddies. Mr Radley came to see us. He is a fireman at Yeovil. He talked to us about what he does and what he wears. Mr Radley told us about his job. He talked about how he helps people. He showed us some photographs. He brought in his uniform. He showed us his hat to protect his head. His coat was a bit big for us! This is his whole outfit. We went on a walk around Stalbridge. 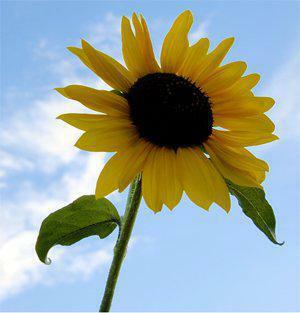 Click on the photograph to see what we found. Our first Spring term topic is 'Where I Live'. Click on the photograph to view some different homes. Please click on the link below for a simple house shape activity. Click on the photograph to view some different animals. Click on the link below for some simple Australian animal activities. Here are some photographs downloaded from Google. Each class has choosen a country to focus on for the year to develop childrens understanding of the wider world. We have chosen Australia! We will be doings various activities throughout the year as well as a short weekly input looking at the animals, weather etc. 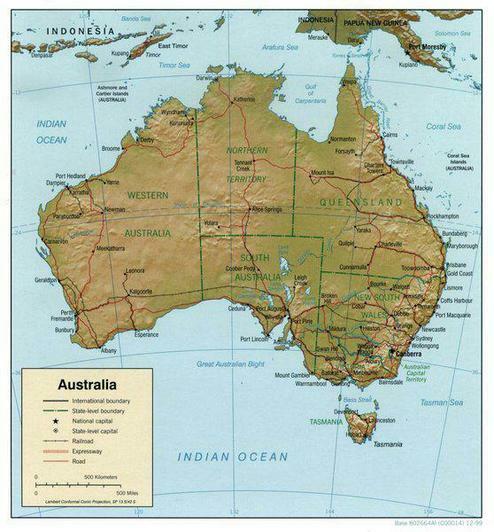 If you find anything about Australia in the newspaper, old postcards, cuddly toys etc that you no longer need we would love to make a scrap book / box to use in school. Here is a website with information about minibeasts which will be interesting to explore with your child. 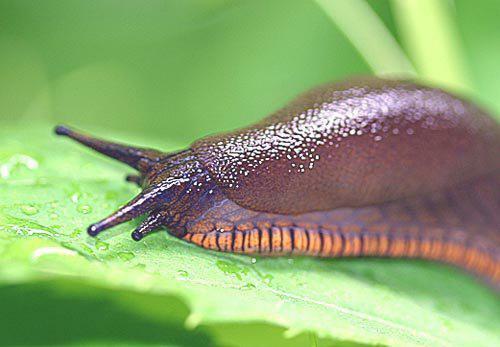 Here are some photographs of minibeasts for you to look at with your child. All photographs are downloaded from Google. Here are photographs taken on our trip to Kingston Maurward. Our Summer 1st Half Term Topic is 'The Sea'. Please refer to the Parents Board and the Summer Newsletter for further details. Please continue to suggest ideas and let us know what your child is interested in. Please click on the photograph of Durdle Door to see some other sea related photographs downloaded from Google. You could use these as a discussion tool with your child about the topic. We went on a walk around Stalbridge today for part of our 'Where we live' topic. Check out our photographs!